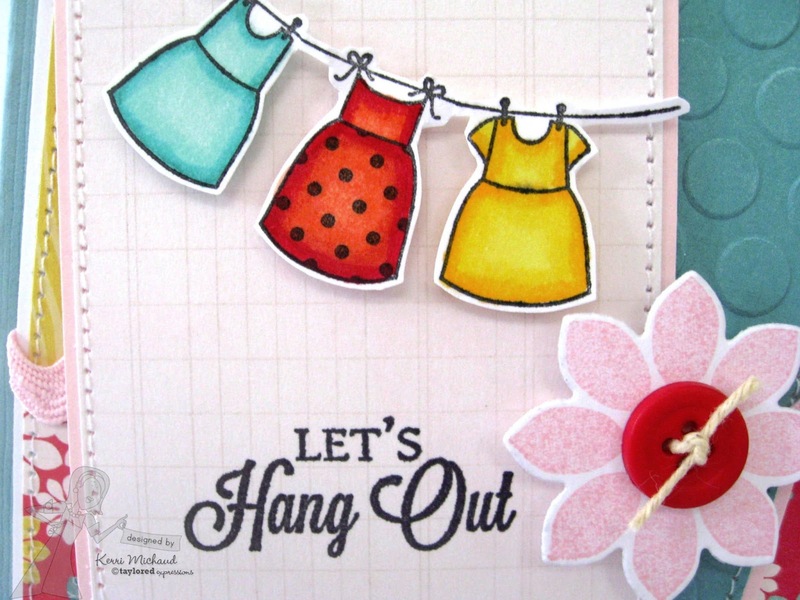 For my card, I stamped the super cute clothesline and colored the dresses with Copics. I also stamped the pretty flower image and cut it out with the coordinating Branches, Banner, & Bloom Dies. 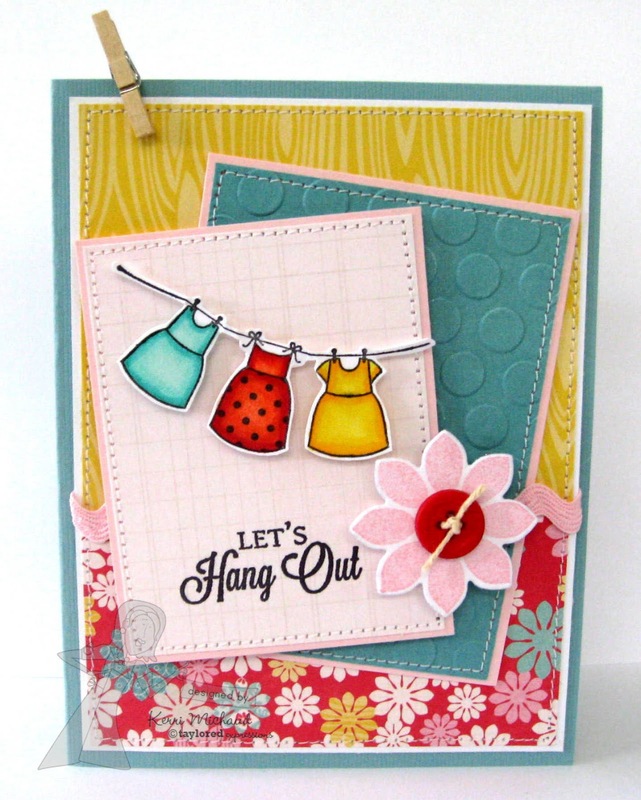 The dp and cardstock is from the May Key Ingredients Kit. Make sure you hop along to the blogs posted below to see more fabulous creations using this month's Stamp of the Month and Key Ingredients Kit! OMG! OMG! OMG! Kerri this is too cute for words. Love this!!! Wonderful, Kerri! Your line of dresses is just the sweetest! This is so pretty, Kerri! Love the layout and the dresses are so sweet!!! 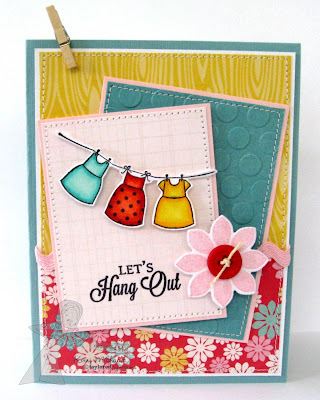 Darling card, love the textures and the sweet design! The coloring is fabulous! What a sweet card Kerri. Love the papers you used and how you cut the image out. Darling! The clever layout is so perfect for that clothesline image. Love your coloring of the dresses too!